With school back in full swing, quick and delicious meals are on the brain. 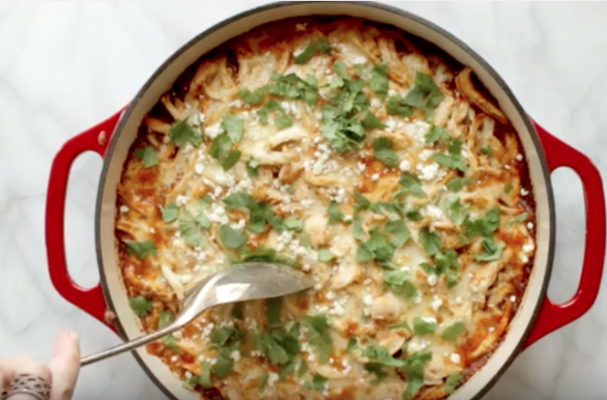 This easy chicken tamale pie is a one pan meal that everyone will love. When the kids have soccer practices, piano lessons and homework, it can be hard to manage getting dinner on the table at a reasonable hour. This recipe allows you to spend more time together at the table than in the kitchen cooking. This meal can be served on its own or you can make a simple side salad or roasted vegetables that can bake alongside the pie. For full recipe instructions, watch video below.